NORMAN, Okla. – This month we're throwng a spotlight on one of Oklahoma’s lovely songbirds. 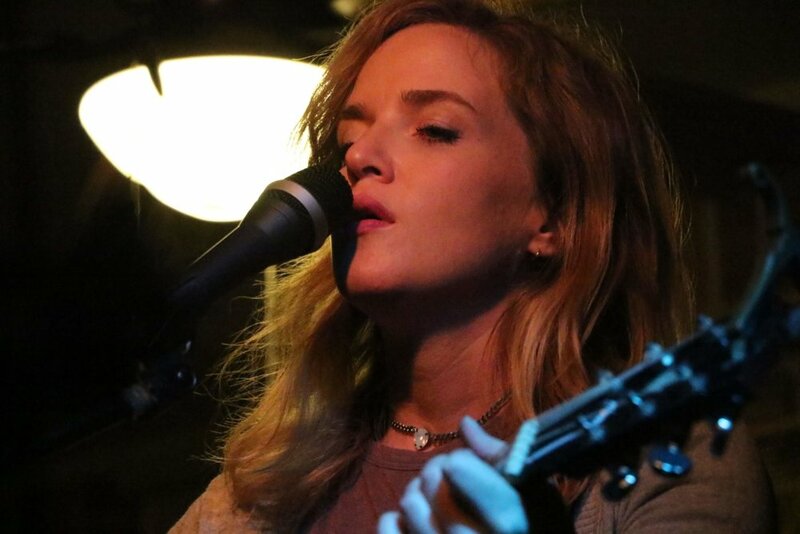 Kierston White, who originally hails from Shawnee Oklahoma but has been Norman based for a while now, has been a key player in the Oklahoma music scene for the last several years. Sister to another well known Oklahoman musician, folk singer Bryon White, she credits him as her musical inspiration which led to her playing music in the first place. White credits her musical influences to not only her brother, but also to Warren Zevon, Jenny Lewis, Neil Young and Lucinda Williams. She started playing music when a friend gave her a banjo at the age of 21. “I had been singing harmonies with my brother which was just like the greatest joy to me to just jump up on stage with his band. But then I just started playing banjo in my room. I lived with my brother in Shawnee and I had a book of tabs and I just played that for a while,” said White. White’s first band was called Ails and Remedies and she sang harmonies and played banjo in it. She says there are still YouTube videos of her performances with that band floating around. So White got a yellow acoustic Fender guitar signed by Ellis Paul, aptly named Sunshine, from her brother and took it with her to Italy where she lived for a year during her senior year of college. During that year she just played around with the guitar and got the feel of it. White still has the guitar in her possession now. She also speaks fluent Italian thanks to her year abroad. White put out her debut album Don’t Write Love Songs with the help of a kickstarter on July 1, 2014. The album was produced by another musician who hails from Shawnee, Samantha Crain. It contains eight original songs and was masterfully done, showcasing her many talents as a singer and songwriter. It’s got a mix of sounds ranging from country and folk to simple singer/songwriter styles. The lyrics are insightful and perceptive, but also quirky and fun at times. White has great control of her voice, which is husky and strong but still manages to be tender and soulful when needed. She has the ability to make her voice quaver in just the right places in her songs to great effect which gives her a unique style and feel. The album is available on itunes and amazon. “It’s the anniversary of my album release, so I feel very nostalgic. My favorite gig ever was my album release show when I had tons of musical friends backing me up. I felt like Willie Nelson and Family,” said White. Some of those musical friends included Tom Young, Camille Harp, Ali Harter, Samantha Crain, John Moreland, Paul Benjamin, David Leach, Kaitlin Butts and Elizabeth Forsythe. White wasn’t the only one who thought that her first album was a great success, she got rave reviews for the album in several different publications including the Gazette and Currentland. She also received high praise about the album from her brother. “It took me nearly a decade and several attempts to put out a record I was wholly proud of. She did a record she could be proud of right out of the gate. Her songs are genuine, heart wrenching, and rife with lyrical lines I wish I would have written myself,” said Bryon White. White writes and delivers songs in a sassy and sultry style. The lessons from her brother and her devotion to learning the guitar definitely paid off, she clearly knows what she’s doing on the instrument. White also belts out her tunes with an interesting mixture of attitude and grace. She carries herself, both on stage and just in general, with such a thick air of confidence that sometimes people are quick to mislabel this as bitchiness or snobbish. However it appears to just come from being comfortable in her own skin and in her abilities. This kind of confidence and sass could clearly be seen a few months ago when she posted to her Instagram account that she had just chopped all her hair off with a pair of kitchen scissors just because she felt like it, and then played a show at the Deli in Norman that night sporting her new cut. Her hair looked great by the way. White has been busy pounding the pavement touring here and there since the release of her album two years ago, trying to spread out in different areas. She books all of her own shows and manages it all herself, all while maintaining a job working with the eldery as well. This leaves her with very little time for much else these days. “Last summer Elizabeth (Forsythe) and I went all the way up through Colorado, all the way up to Oregon and down the coast and back. I think it was last November, sometime in the fall, I went east to a place I like to play in Mississippi and then Nashville and back to St. Louis. I try to make little circles. If I’m going to be able to afford to bring a partner I’ll throw Elizabeth in the car make her come with me or Camille (Harp). Elizabeth and I are going to New Mexico next week,” said White. During the New Mexico trip they will be playing next door to the Georgia O’Keeffe museum which White is excited about. Aside from her musical talents, White is also a visual artist and is very talented at painting and drawing as well. She said for the moment she’s had to hang up her brushes because she just doesn’t have the time to do it, but it’s something she will eventually come back to. In fact White has designed artwork for The Damn Quails, Annie Oakley, Kaitlin Butts, Bob Livingston, The Blue Door, Michael Fracasso, The Norman Summer Breeze Concert Series, The Tequila Songbirds and herself. Her personal favorite is the Tequila Songbirds logo. 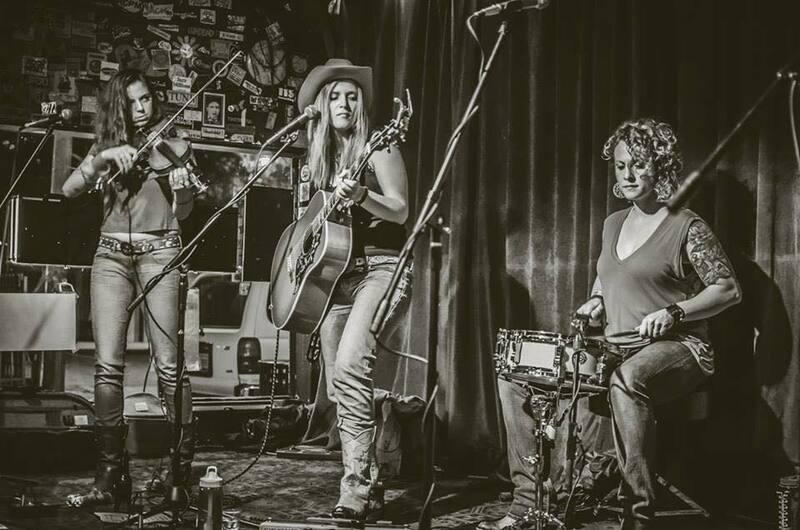 Speaking of the Tequila Songbirds, White was the one who had a hand in putting together the collection of female artists known as The Tequila Songbirds, which has included Ali Harter, Camille Harp, Elizabeth Forsythe, Kaitlin Butts, Sherree Chamberlain and Samantha Crain among others. White likes the diversity that both of the musical projects allows her to have, and the variety of shows available because of the differences in the two. “I think it helps that I have two different projects. I've got the Tequila Songbirds which is the fun, rowdy girl band and then I have my serious songwriter Kiersten White stuff. So I feel like I've made myself versatile enough that I can reach whatever I need to do. If someone says ‘I love your music to you think you can come play a listening room?’ I can say yes. And if someone says ‘I love your music do you think you can entertain a bar full of rowdy people?’ Yes I can do that too,” said White. Like many of the other local female artists, White will also be helping this summer with the OKC Rock-n-Roll Camp for Girls which was started and put together by Carter Sampson. White will be teaching guitar and helping to inspire young girls to follow a passion for music. She says she is really looking forward to it and is happy to be involved with the project. White is also in the process of finishing writing the songs for her next album and starting to work on putting it all together. “I’m actually recording some demos with John Calvin Abney in a couple of weeks to try to prepare for my next album. Just to kind of get things laid out on tape before I go into the studio. And then try to figure out how to pay for it all,” White said with a laugh. There’s no doubt that White’s next album will be just as well done as the first, and will continue to show her progress and growth as a musician and songwriter in the process. Red Dirt Nation is looking forward to seeing what this talented young woman will do next. You can catch White playing with the Tequila Songbirds on The Exchange at Film Row located in downtown OKC on Sheridan between Dewey and Shartel on Friday, July 15 at 6:30 p.m. and also opening for Jason Boland and the Stragglers at the Myriad Gardens on Saturday, July 23 at 7 p.m. White will also be playing with Elizabeth Forsythe at the Woody Guthrie Festival on Saturday, July 16 at 4 p.m. at Brickstreet Café at 104 S 2nd St in Okemah. You can also find out more about White on her website at www.kierstonwhite.com.